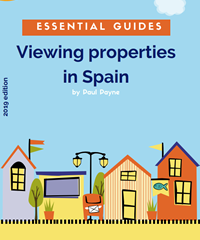 Spanish Property Chat is an informal and relaxed way to get your questions answered and learn how to get the right help and advice for anyone considering a Spanish property purchase in 2019. We are delighted that Paul Payne will be hosting each of the events and your ticket will be for an exclusive one to one session with him. Paul will be celebrating his 22nd year with MASA International this year and there can be very few who have helped more people find their home on the Costa Blanca. Paul's friendly, relaxed and professional approach ensures his clients become his friends as he remains in close contact with each client throughout the buying process.